A new Paul McCartney album is not going to slip into the market unnoticed, but while gallons of ink have been spilled over McCartney’s alliance with Starbucks few have recognized the quiet dynasty of solid albums McCartney has made in the past decade. McCartney has always been his legacy’s own worst enemy. His productivity in the decade after the Fab Four’s break-up produced a number of big hits, but also created a glut of filler. It appears that no one was willing to tell the ex-Beatle that some of his material was, well, awful (or, to be more generous, severely lacking inspiration). 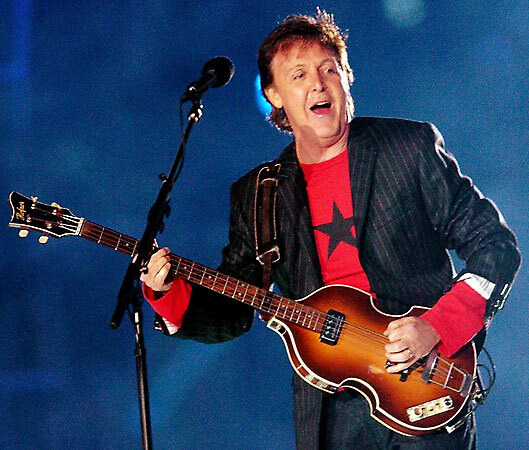 The five rock albums that McCartney has released since the completion of the Beatles Anthology project in 1996, may not be enough to erase the public perception of McCartney as a featherweight solo artist, but time will show this period as the richest in his post-Beatles career. Flaming Pie (1997) – McCartney returned from the Beatles Anthology rejuvenated. There is an energy in the performances and focus in most of the songwriting that had just been hinted at on previous albums. Ringo’s appearance on “Beautiful Night” helps make it the album’s highlight, but several small touches – like McCartney’s acknowledgement of his legacy with the lyric “I go back so far/I’m in front of me” – show glimpses of promise and consistency unseen in years. Run Devil Run (1999) – McCartney had romped through his childhood favorites before, but his freshness on the ‘50s classics he recorded for “Run Devil Run” sound more like an energetic, carefree teenager than a middle-aged legend dealing with the death of his wife. Backed by David Gilmour and Ian Paice, this is a rare no-skip McCartney album. Driving Rain (2001) – “Driving” is the key word here. Like much of “Flaming Pie” and all of “Run Devil Run” this album was recorded live with a limited overdubs with the ensemble that continues to serve as McCartney’s live band. Though the album contains the embarrassing “Freedom,” the light sprinkling of experimental electronic arrangements, the Eastern flair on “Riding to Japur,” and the ten-minute jam of “Rinse the Raindrops” show McCartney was still effectively working new tricks into his craft. Chaos and Creation in the Backyard (2005) – The crown jewel of the McCartney catalog. Definitely the strongest and most consistent self-penned album since McCartney’s post-Beatles, pre-Wings period thanks to producer Nigel Godrich’s quality control standards. McCartney handles most of the instruments himself on this low-key affair that showcases his strongest collection of songs in a long time. Memory Almost Full (2007) – McCartney’s latest release is almost like a mixtape of his back catalog. The lead track and single, “Dance Tonight” has a homespun whimsy that recalls “Ram,” while “Only Mama Knows” wouldn’t have sounded out of place on “Wings Over America.” The band that backed McCartney on “Driving Rain” returns for most cuts, and while there are a couple miscues, the results are on par with the standards McCartney set ten years ago. While this ouput is unlikely to win McCartney any new fans rock fans (his classical work also continues to grow), it is encouraging to see a legend continue to challenge himself. Beatles fans have good reason to be excited to hear what Sir Paul gives us next and can sleep easily knowing it won’t be the great American songbook.